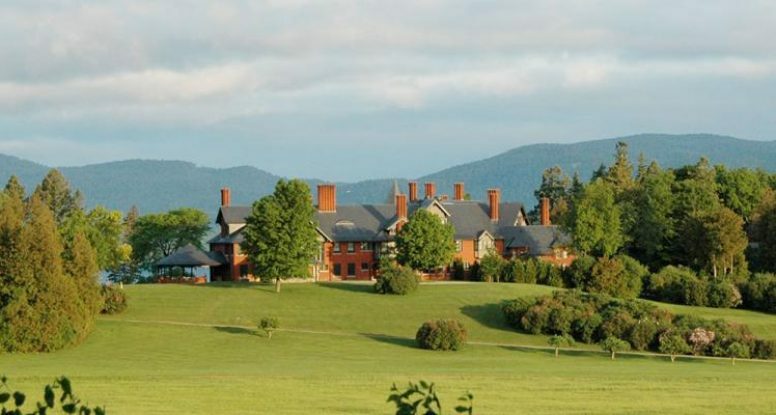 Shelburne Farms has been my home for sixty two years. I have walked, biked and driven all over this magical, magnificent, peaceful landscape. My family has been connected to the farm for three generations. I started working on the farm in 1968 as a grounds keeper, as assistant under the watchful eye of Darcy Patterson. I had the great pleasure to work with Mrs. Van Webb in her beautiful flower gardens. She would always meet me at 9:00 am accompanied by her short tailed pointer “Turtle”. As I drive through the farm gates, the outside world is left behind. Many fond memories come quietly back to me as if it were yesterday. I have seen and enjoyed the landscape in all its moods, and enjoyed the abundant wildlife that also calls this home. From sunrise to sunset every day is different, and every day is a gift. One summer day a few years ago I stopped for a little while to reminisce my life time spent on this land in “FIELD OF DREAMS”.